I don't know what I'm happier about here-a normal celebrity parent or the fact that he probably doesn't have a drink in his other hand. 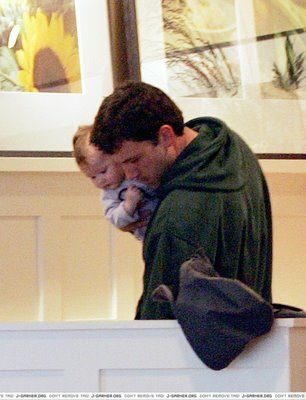 Very cute and yes it's Ben Affleck with Violet. There is nothing i will say about this couple..i think jennifer is the most down to earth sweetest girl in t he world!! and she has tamed her husband and that sweet little baby is beautiful! !